What follows is Govinda Dasi’s reply to the exchange between Brahmananda Prabhu and myself. Please accept my humble obeisances. You have many good points; however, in order to come to agreement, the essential issue should be addressed here. 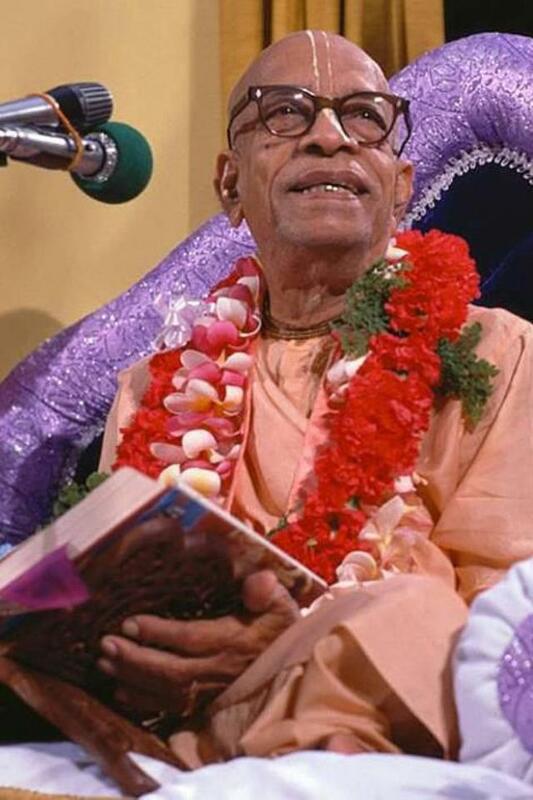 There will always be those who favor the posthumously edited edition, and there will always be those who favor the earlier edition that was read by Srila Prabhupada in classes, and in his lectures all over the world. Therefore, many people will present this perspective or that perspective, saying such things as “Rayarama was the best editor,” or “Hayagriva was the best editor, or “Jayadvaita Swami was the best editor,” and so on and on. But this is NOT THE REAL ISSUE AT ALL. AGAIN, THIS ALSO IS NOT THE REAL ISSUE. THE REAL ISSUE IS THAT IF INDEED THERE IS TO BE POSTHUMOUS EDITING, IT MUST BE DONE CORRECTLY, ACCORDING TO THE ACCEPTED PROTOCOL THAT IS ALREADY ESTABLISHED IN THE WORLD OF PUBLISHING. Otherwise, Srila Prabhupada’s books are not considered to be authentic renditions of his writings, and are no longer acceptable to scholars. There are certain requirements for posthumous editing. These must be met. And the BBT HAS NOT met those requirements in their posthumous editions. The posthumously edition (editions) have not been correctly labeled according to the rules of publication. It is essential that any and all posthumous editions be dated and numbered, and that the editor (editors) names be prominently displayed on the cover and/or title page. There are other elements of proper protocol as well, and these can be easily accessed. If everyone can come to understand this most essential point, there will be no conflict. Both editions can exist simultaneously, along with any and all future editions that may be done. But they must be properly tagged with the editor’s name, date of the edition, and number of the edition, in order to gain any respect or credibility in the academic world. This is the accepted procedure which also clearly defines what material was printed during an author’s lifetime, and whatever was printed after his demise. We cannot change these protocol according to our whims, or our preferences for this edition or that edition. To do so simply invalidates Srila Prabhupada’s books, and means they can be changed whimsically in the future. This puts his writings at risk for becoming like the edited Biblical texts–no one really knows which edition is which, or what the original one even says. This matter can be settled once and for all, by having all posthumous editions follow the accepted protocol. Once this is done, there will no longer be any contentious issues. The edition that was printed during Srila Prabhupada’s lifetime will clearly be the original edition, and those editions that have been printed since his demise will be properly numbered and dated, and their various editors names will appear on the cover and/or title page. Once this is done, people can choose the edition they prefer, and there will be no grounds for criticism. There will be no accusations of shabby, unprofessional presentations (as have been made by scholars) and no deceptiveness in the matter of book reviews written for the earlier edition. This correction will establish Srila Prabhupada’s books once again in the collegiate community, as they will honor the system used by scholars everywhere. This is what needs to be corrected, once and for all. Thank you for your time and efforts in this all important matter. This entry was posted in All posts, Govinda Dasi, Jayadvaita Swami and tagged authorization, bbt, debate, editing protocol, Govinda Dasi, Hayagriva, Jayadvaita, posthumous editing, prabhupada. Bookmark the permalink. Personally I do not think that a posthumously edited version of Prabhupada’s Bhagavad-gita As It Is can exist without violating the sampradaic rule of arsa-prayoga and thereby without offending Prabhupada. But since the BBTI publishes one it must certainly be made according to the accepted protocol for posthumously edited works. This will make it very easy to differentiate between the original and edited version, and it will no doubt remove a lot of the fighting created by the BBTI insistence on changing Prabhupada books. But even if the BBT International published according to the standard protocol still a very important point need to be made, namely that no one can make spiritual progress if they make offenses to the spiritual master – and they do so by supporting posthumously edited versions of Prabhupada’s books. Once again, I agree with both of you, Prabhus. I felt so releived and inspired reading your excellent letter, I just hope it will not meet any unreasonable opposition or neglect as it is just a perfect reconcilisyion on this very essential issue.